We have now reached 33 weeks - a place that for 2.5 years I thought we would never get to. 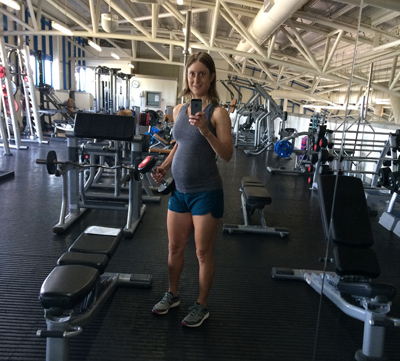 I wanted to share my experience of trying to stay fit during pregnancy, and hope others find it useful! The most important thing to say about being an athlete and pregnant, is that the moment of getting a positive pregnancy test (or for us, the day of starting IVF) is the moment that my mind-set had to change completely. 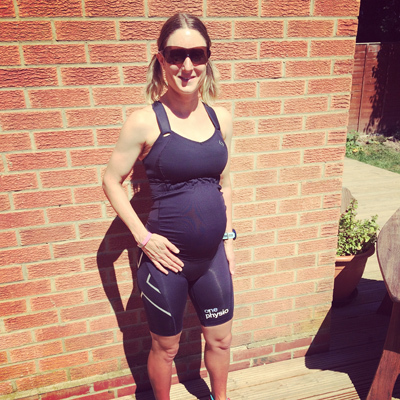 Number one priority is no longer race fitness, but being fit for a healthy pregnancy and baby. There were plenty of people that doubted I would be sensible, and carry on trying to train too hard. But when we have been on such a journey to get here, and invested so much time, energy and emotion (as well as money) - why would I take any unnecessary risks?! There are a lot of misconceptions about exercise during pregnancy, and advice has changed a lot since my parents' day. The NHS recommends 30 minutes a day of easy exercise even for previously sedentary women, so as someone highly fit and active (and assuming no medical concerns), there is absolutely no reason not to carry on with a moderate exercise program. I carefully followed the medical guidelines of not exercising at high intensity or allowing myself to get overheated, dehydrated or energy depleted. My biggest guide was always listening to my body (as well as the advice from doctors and physios) and never pushing through discomfort or pain - just like managing an injury. From day one 'training' became 'exercise'; the need to be 'race fit' was no longer relevant - since if all works out I would not be racing for at least a year anyway. *But* I did want to give myself the option of returning to racing after the baby by staying as active as possible. 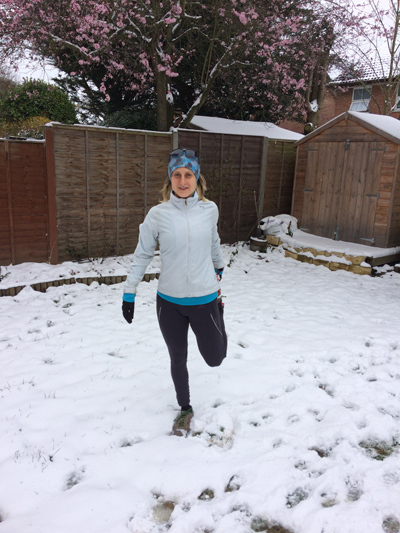 Like most athletes, I find exercise - especially getting outdoors - essential for mental wellbeing, which is important to get through the many challenges of pregnancy! In the beginning it was not difficult to take things easy, due to generally feeling crap and exhausted all the time! I was surprised how quickly the body changes and how different I felt, despite having no visible bump and no weight gain beyond what I would normally put on in winter. By the time we found that I was pregnant, I had already lost a lot of fitness by going through 3 months (2 rounds) of IVF. It is a gruelling regime mentally and physically - in a way being an athlete prepared me for it better than most. But it left little energy or motivation for training. At several stages in the process, running and swimming are not possible anyway due to medication and surgery - though thankfully I never had to give up my bike commute to work! A positive test after round 2 was a massive relief, but of course not the end of the anxiety! As we know through experience, nothing is guaranteed at this stage. The next 2 months were a haze of exhaustion - due to pregnancy hormones, anxiety and constant nausea. Being January and February it was also the most depressing time of year and my symptoms literally felt like having mild flu for 2 months. I still had little energy for exercise, but doing nothing felt even worse! So I made sure to do something every day, whether cycling to work, a 30 minute easy run or swim. The most overwhelming effect was feeling like I was doing everything at high altitude - keeping up my previously easy run pace was impossible; even walking up 3 flights of stairs to the office raised my heart rate to threshold level! It made me quite p*ssed off reading articles about how increased blood volume during pregnancy can confer performance benefits, when my experience couldn't have been more different! Perhaps I also had unrealistic expectations, knowing of other women who had continued to race 10k's during their pregnancies, posting times only a little slower than normal. But even if I had been able to do this, I wasn't interested in pushing myself. Again, why take the risk? I did participate in two cross-country races for the social aspect, but my goal was just to jog round and eat cake at the finish line! I stuck to this, but it was hard knowing I would normally be winning these races, and at this point no-one knew why I was trailing back in 20th or 30th. Another surprise was not being able to sleep on my front from about week 6 (challenging when this is my only comfortable sleep position) and also finding it hard to bend forwards, whether to reach my bike handlebars or something I'd dropped on the floor of the car! Again, this was well before I had any visible bump, and I was worried I would soon have to give up cycling. Thankfully my ever supportive sponsors Mountain Trax stepped in! They put temporary new stems and bars on my mountain, road and commute bikes so I could keep riding them all in a comfortable position - thank you guys, seemingly small things make a big difference! The most important thing was getting through the first trimester with no problems - unfortunately this is 99% luck whether the pregnancy is viable - so not much we could do apart from keeping our fingers crossed! The relief of seeing a strong heartbeat at each scan was immeasurable, and finally at 13 weeks we were in the normal NHS system, in the same boat as everyone else! Everyone says the 2nd trimester is the best part, so make the most of it! It took me until about week 15 to stop feeling sick, but once we got to that point it was definitely true. I never returned to my pre-pregnancy levels of energy, but at least I no longer felt ill, or needed to sleep for 11 hours a day. 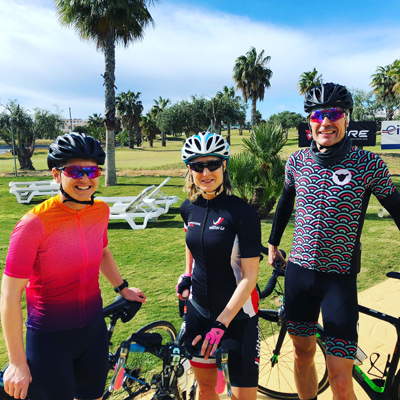 At this point I asked coach Mark at Intellitri for a 'training' plan - partly because I missed having some structure, and the satisfaction of ticking things off in Training Peaks. 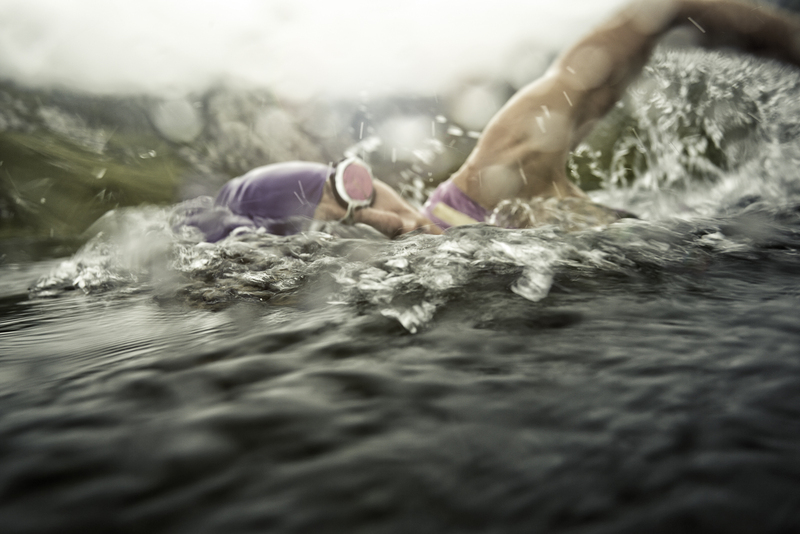 But also it was great to get some fresh ideas for swim / bike / run workouts I could do that were realistic. I had been doing pilates with One Physio all winter (important for core strength & pelvic floor!) and at this point Pete and Callum set me some suitable S&C sessions as well. With the transition from first to second trimester, feeling sick and tired went away, but other physical limitations appeared instead, like lax joints, instability of the pelvis and not being able to do front-lying exercises anymore. I had to adapt more exercises and be careful getting out of bed or up off the floor - so as not to put undue stress on my SI joint. I bought a run support belt, although at this point it was more for comfort than necessity. And finally kept a close eye that any aches and pains didn't persist - thankfully nothing ever did and I can only put it down to hormones constantly changing, and the body gradually adapting. I assumed I wouldn't be able to hide being pregnant once I got to 12 weeks (most articles I read said that's when you start to show), but all the core work helped in that respect! I don't think I even looked pregnant until 18-19 weeks, and even then I could still hide it with the right clothes. Most people at work hadn't guessed when I told them at week 22! The key was to remain sensible now I could actually do some reasonable exercise again. Not to get carried away, and even if I had planned a 1 hour swim or 10km run, if I didn't feel up to it I would just stop. I also had to be careful about getting low blood sugar and made sure to carry jelly babies or snacks no matter how short and inconsequential the exercise seemed. I also met with Mark for a couple of swim analysis sessions while the going was good - as one aspect I could still potentially improve was technique! I guess an advantage of pregnancy is that it forced me to swim efficiently, and especially after week 24 (our second video session) when I was really starting to lose lung volume and find it hard to breathe enough in the water. While in Loughborough, I also met with a prenatal exercise coach, and was also advised not to do ab work anymore. Even though I've avoided sit-ups and anything to work the 6-pack since the start, it was time to cut out more of the pilates abs exercises too - even the stabilising ones. I became (and still am) a bit paranoid about abdominal separation which would impair a return to sport, but annoyingly there is only so much you can do about it. Almost all women get a degree of separation (which will hopefully close again post birth) - but it's even more likely to be an issue in short & slim women like me - simply we have less room in the abdomen for baby to grow - the only way is outwards! On the positive side, I was still running comfortably for up to 1 hour (albeit slowly) - I say comfortably because it's all relative and ever since trimester 1 there's that constant feeling of needing to pee, and just the mechanics feeling different. 90% of my effort when running always seemed to be used on holding good form and posture rather than moving my legs forward. I guess it's the joints becoming more lax and losing core control. I was surprised I could still mountain bike at this point but very happy about it! Around 26 weeks was the first time I could feel actual weight of the baby, rather than just the change in body shape. I never felt like pregnancy affected my balance or bike handling at all (why would it be any different than cycling with a rucksack?) I still felt completely happy on proper trails, although obviously avoiding anything technically difficult or risky, such as steep descents or drop-offs. But towards the end of trimester two, sitting down while riding bumpy ground started to become uncomfortable. The easy solution was to stand up for these sections, but most of the trails at the Lookout aren't smooth, and with 10% extra bodyweight there's only so many minutes I could stand out of the saddle without a rest. I wanted to carry on though as I loved being out in the woods and away from cars (I pretty much avoided road riding by this time), but had to cut the rides shorter. I also found all my bras became very uncomfortable - crushing my chest where the ribcage has expanded. I tried ordering so many new bras online, but never found a single one that offers enough support without feeling like a strait jacket. I didn't really have a choice but to put up with it, but had to stop wearing my heart rate strap as there is simply not enough room along the bra line. Unfortunately maternity bras are not designed for sport, and vice versa! Maternity cycle wear does not seem to exist at all - just try googling it! So I have come to the same solution as all other women whose blogs I've read - wearing bibs instead of shorts, oversize jerseys and eventually Simon's bike clothes. The one single decent item of maternity sports clothing I have found are 2XU prenatal compression shorts which I would recommend despite the price (see top photo). Comfortable, supportive, and they actually look flattering! They allowed me to keep running for longer, and when that was no longer possible, to keep cross training and doing my S&C at the gym. Again thank you to David Lloyd Reading for their continued support while I am not racing! At 27 weeks I was still running (if you could call it that) but only 5-6km and 30-40 minutes at a time. By now the UK was (and still is) in a crazy summer heatwave, so I had to be careful to run in the morning, choose shady routes and always carry water. If needed to I'd run my head & T-shirt under the tap before setting out; all of this was sufficient that I never felt too hot. It was however, getting more uncomfortable with the weight, which was all in the bump, the rest of my body looks just the same! The support belt which was just a preference before became a necessity. Running gradually became less enjoyable - always feeling like I had just eaten all I could eat at an all-you-can-eat buffet, getting stitches, not being able to run downhill and so on. At 31 weeks I reluctantly accepted it was time to stop running. I know other elite athletes who've had to stop at 14, 18 or 20-something weeks, but there are always those who carry on to the day they give birth, around 40 weeks! It feels hard knowing I won't be able to run again for probably 4 months (allowing sensible recovery time post birth) but given how little and how slow I can run anyway, the risks outweigh the benefits. I'm now at 33 weeks and still happy cycling for 90 minutes - up to now cycling has been the most comfortable form of exercise. Although my knees are making contact with the bump so I'm not sure how much longer I can carry on before it gets too much in the way. Everyone tells you the 3rd trimester will be challenging; I never doubted it. It feels exactly like you would imagine having a 6kg bowling ball inserted into your abdomen might! Not only making exercise more arduous, but just being comfortable sleeping, or doing everyday tasks, is fairly impossible. I thought I'd be able to carry on swimming as normal (obviously slower) until the end, but it is hard to breathe with reduced lung capacity, I literally have to rest every 25 or 50m, or just stick to pulling. What else can I still do? I've swapped the running for 30 minutes easy cross training, and I'm still doing my S&C work in the gym - this means bodyweight exercises or using light dumbbells - no heavy lifting. Although my bodyweight is now 14% higher than race weight and will keep increasing, so I have no choice but doing a bit of resistance work! I'll be honest, from 30 weeks onwards being pregnant has not been particularly enjoyable (especially in a heatwave) and at times I do get frustrated with feeling uncomfortable all the time, not to mention unfit and unable to do anything I am used to. 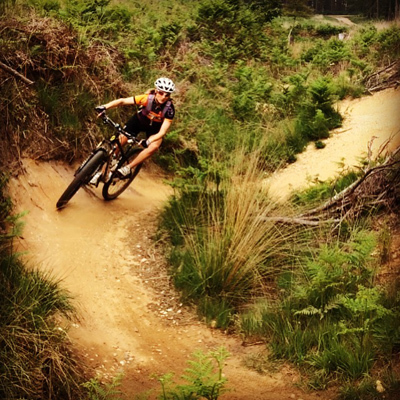 I also miss being part of the racing scene - the friendly local races like Gorrick MTB and TrailX duathlons, as well as the big Xterra events. I know more than most people that I am fortunate to be expecting a baby and will never take it for granted. But a difficult road to getting pregnant doesn't make it any physically easier once you get here! At least I have the mental perspective not to resent the downsides like I probably would if this had come easily. We still have 7 weeks until the due date, so I will keep on doing what I can, but as always - listening to my body and knowing when to stop. Although everyone says I won't know how I will feel afterwards and whether I'll want to go back to racing - I'm already pretty sure! I have always been an athlete, and I definitely feel like something is missing from my life, even though there is something even bigger to gain! Whether I will ever race elite again... who can say? Priorities will definitely change, and family will have to come first - racing will no longer be my #1 goal. Recovery and getting my body back is important, but I won't be rushing to get back to race fitness. At least until New Year I will have much more pressing and important things keeping me occupied to even think about training! But I can't deny I hope I will pull on a GBR trisuit again one day - watch this space!